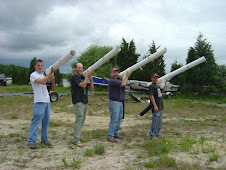 Chronicles of Zostera: Atlantic sharks at risk due to over-fishing - Devastating for scallops? Atlantic sharks at risk due to over-fishing - Devastating for scallops? The cracked bay scallop shell indicates crab predation. "GENEVA – More than a quarter of sharks in the northeast Atlantic Ocean face extinction with some species already wiped out in certain areas due to over-fishing, a conservation group said on Monday. Twenty-six percent of sharks, rays and chimaeras are threatened with extinction and another 20 percent are in the 'near threatened' category, the Switzerland-based International Union for the Conservation of Nature (IUCN) said in a statement." 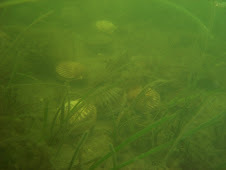 This has the potential to be devastating to bay scallops. With the loss of sharks, which are large apex predators, their prey is released from a predation pressure. This, in turn, allows populations of shark prey to expand - these include smaller sharks, skates, and rays, which are typically benthic feeders which eat shellfish. 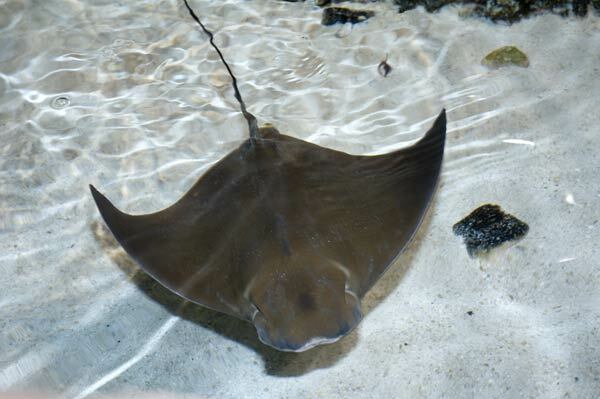 One species in particular has increased to such numbers, the cownose ray, that it has devastated the bay scallop fishery in North Carolina. This has been documented by scientists for the past 8 years, and recently made Science magazine in 2007. Luckily, we don't have the large feeding aggregations of cownose rays here in New York, and as far as I can tell, we haven't seen large increases in skates, at least not in areas where we have bay scallop populations. Although it is possible that we are seeing other trophic cascade-type effects, some of which I plan to investigate in my thesis research. 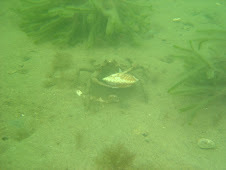 I don't want to get into too many details until I know if I am doing this for sure, but its possible that loss of some local fishes has released crabs from predation pressure, allowing them to forage more freely on their prey, juvenile bay scallops included. By the way, I am working on my proposal right now and it is killing me! Can't wait until it is all over!